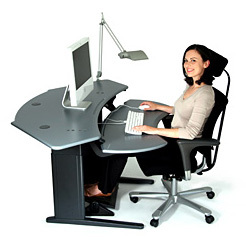 A corner-based, dual surface desk with motorized sit-to-standing adjustment with 3 presets. This is a premium, heavy-duty design featuring our trademark solid surfaces and Comfort Edges. The keyboard surface offers separate, instant spring-loaded adjustment with positive and negative tilt option. Also available as a single surface option w/o the keyboard surface. Black frame as standard, Maple version has silver frame. 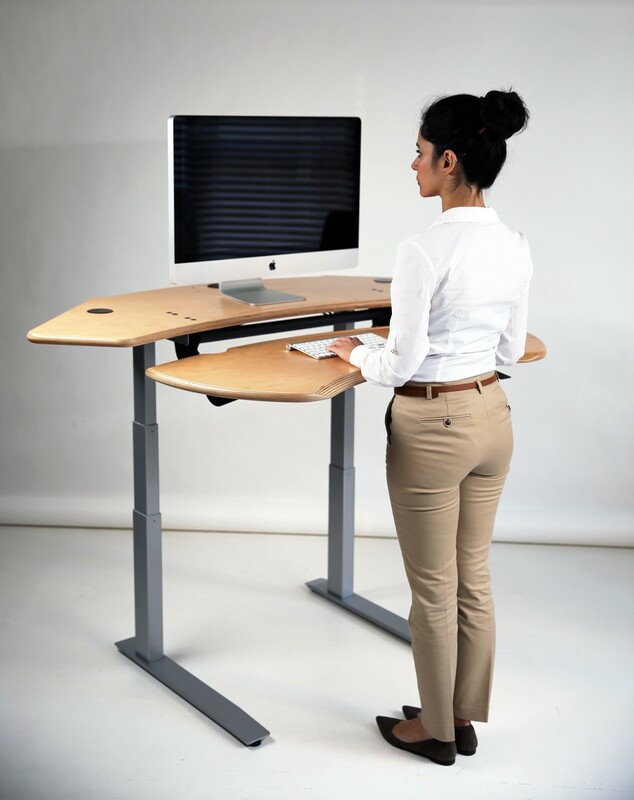 Lays out in trios or quads, and is Ideal for office, commercial and professional applications. 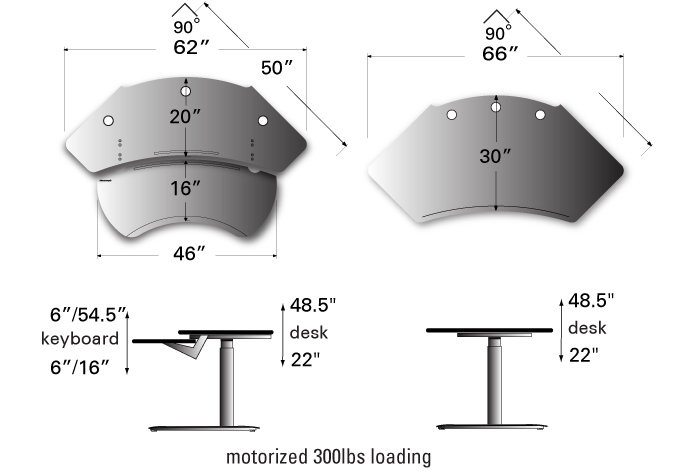 • Highest sit-to-stand operation: Keyboard surface 16" - 54.5", Monitor surface 22" - 48.5"
• Instantly height-adjustable with motorized frame with 300lb loading, 3 position height memory and soft start and stop.